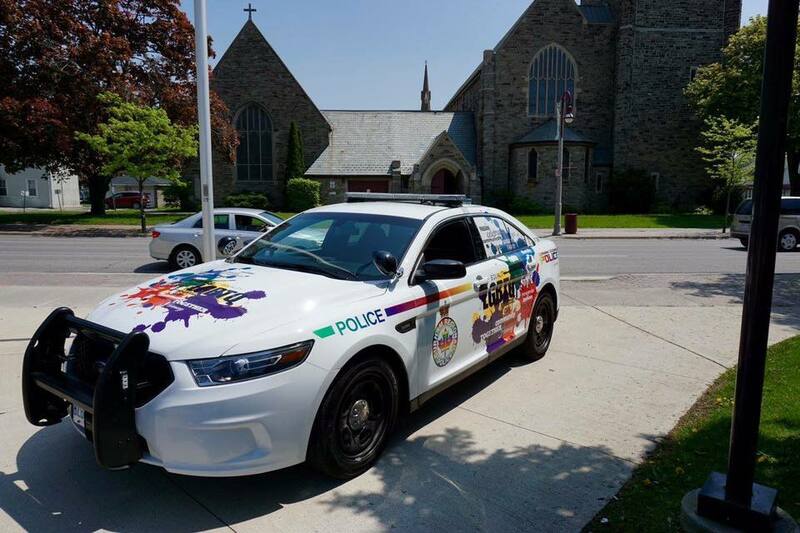 In a meeting held on April 24th, 2018 the Board of Directors of Pride Durham had a majority vote to extend an invitation to the Durham Regional Police Service to participate however they choose, in full uniform or in street clothes, in the Durham Pride Parade being held on June 3rd, 2018 in Ajax, Ontario. The Board of Directors of Pride Durham held a community forum on April 24th, 2018 in an effort to hear feedback from the community about Pride, and more specifically about the role of the Durham Regional Police Service. We heard people speak passionately and bluntly about their concerns from each side of the issue. The Board recognizes that although the DRPS has made great strides and are in the forefront of developing programs to try to reach out to the marginalized people of the LGBTQ+ community and others, it is clear that there is still work to be done. We encourage the DRPS and representatives of the marginalized people in the queer community to try to reach out and dialogue with each other with the intent of working together to find a real solution, and we recognize that can only happen when both sides are open to discussion. It is the feeling of the majority of the Board that we accomplish more by deliberate inclusion of all people who wish to celebrate the LGBTQ+ community rather than by deliberately excluding them. The DRPS has been an integral part of Pride Durham from the beginning, when they first appeared in the pride parade dressed in street clothes. The DRPS opted to switch to uniforms when tangible physical and violent threats were made against the LGBTQ+ community. The Board recognizes the strong historical connection in the early days of Pride to the DRPS when the LGBTQ+ community was much more vulnerable as a whole and we hope that continues. It is understood that should members of the DRPS opt to participate in the Durham Pride Parade in street clothes rather than their uniform, they can do so at their discretion. NOTE: This invitation is offered to the DRPS only.